It never gets old. Apparently, Glen doesn’t feel his McCain Deep ‘n Delicious chocolate cake quite made the grade, so rumor has it the girls will be making me a cake this weekend. I’m hoping to milk this thing right into December. Feeling down? Depressed? Wondering if anyone cares about all your hard work? emergencycompliment.com offers a steady supply of Emergency Compliments to be used at times of great insecurity. Thanks. I DO feel better! I had Brene Brown’s Power of Vulnerability on my “To Watch Someday When I Have Time” list for over a month. Guess what? I never have time, but I finally watched it anyway. It was BRILLIANT! Funny and inspiring, and I have found time to watch/listen to it 2 more times since. I want to be this person. Someone who lives wholeheartedly. Someone who is “willing to let go of who I ‘should be’ in order to be who I am.” A person of Compassion, Courage and Connection. Someone who knows that what makes me vulnerable is what makes me beautiful. I’m convinced that vulnerability is the first step to being WHO God meant me to be. One of my favourite ways to avoid vulnerability is to explain it all away. 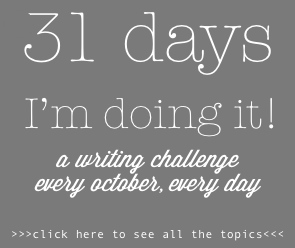 I slap a clever title on it and make it into bullet points and post it on my blog. Idelette McVicker knocked me upside the head this week when I read She Rises While it is Yet Night. “I can’t be in my story, if I am constantly trying to make sense of it first.” Ouch. Right. 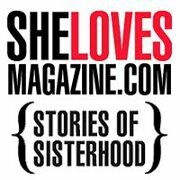 This article and many like it are the reason I enjoy SheLoves Magazine. I’ve hardly scratched the surface, but there are brilliant writers here, all driven by the same engine: “Let us be women who Love.” They manage to pull it off without being sugary or churchy or insipid. So here’s me, learning to be a woman who loves, who is vulnerable, who is content.. who is Disney cartoon material. Tomorrow is a BIG day in our ongoing adoption saga. It is the first visit with foster family after bringing our boy home. We’re having an early birthday party for our soon-to-be 2-year-old with ALL the people who love him best. We love them too, so it’s no hardship to have them here. But, it’s a big deal too. I’m not going to lie. It’s awkward. And unnatural. And weird. I’m not sure what the happy ending is for an event like this. I want him to run into their arms and hug away all the sadness they’ve been feeling. I want him to cling to us and refuse to let go. I want him to be completely unaffected by the whole affair. I want him to express all the angst and emotion that this confusing change must create. I want to interrogate them about every detail of his life and learn all his stories. I want to live only in the here and now, where WE are a part of his story. So, I’m pretty much a mess about the whole thing. But at least there will be cake. Everything is better with cake. In honour of my son (who pulled out the racks and climbed INTO the oven this morning) I am going to promote a hilarious blog “written by” the Honest Toddler. You don’t need to have a toddler to appreciate this humor, but it helps. The Seven Stages of Night Grief really resonated with me this week. He has a toolbox that should be mine and is looking at the toilet. Watching from behind the door (with my SWORD). HE SPOKE TO ME!! And laughed. Uh…you are not my daddy and we are not friends. We will never be friends. Took refuge in my cardboard box. I’m invisible. What kind of a grown man comes into someone’s house to play in their potty? Supervising him closely again. Farted again. He looks uncomfortable. He asked me if I’d like to go play with my toys. NO I’M FINE HERE THANKS. Farted again. Told mommy I need to use the potty. She’s excited. Asked the hostile to take five. Have fun working where I just pooed, stranger. Three M&Ms!! He just pulled a couple washcloths out of the toilet. Getting out of here before people start pointing fingers. In the middle of all this toddler-mania we TRY to spend some one-on-one time with each of our big kids during the week. Last week I took the 9-year-old to see Brave. Girl power. A beautiful Scottish princess with bushy red hair. What’s not to like? 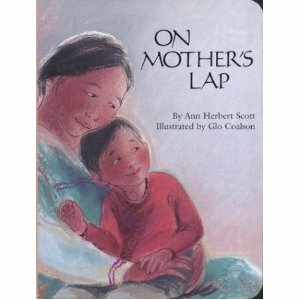 The moral of the story: “Listen to your Mom.” and “Mom is always right.” At least, that’s what I heard. My obedient, submissive daughter tells me I am wrong, wrong, wrong about the point, but it was a decent show with a few good laughs. Speaking of movies, there is no reason, NONE, to waste your time waiting in endless lines at the movie theater, especially on cheap Tuesday when things are crazier than ever. 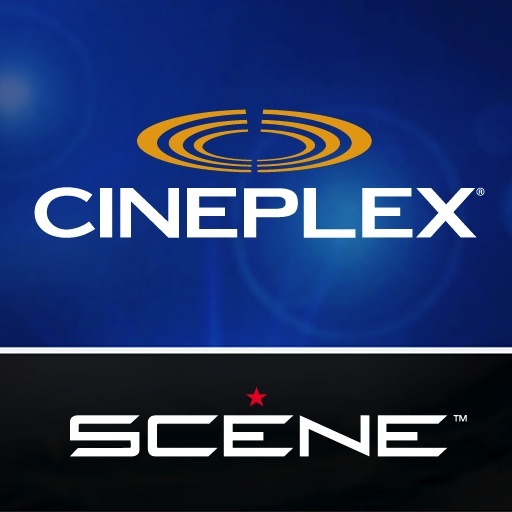 Use Cineplex Mobile to buy your tickets (with an additional scene card discount) from home (or the car, or the parking lot or anywhere your little heart desires), then scan the bar code at the “Mobile Ticketing Booth” on the way into your movie. It prints your tickets instantly; there is no line up, no wait, and no need to bother printing your own ticket. I almost felt sorry for all the poor schmucks lined up out the door last week. But it was kind of fun to zip right past them with a confident swagger. 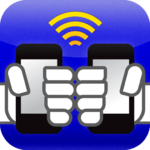 We also use this app to find theaters, movie times, trailers and ratings. Obviously we are big movie buffs. For our last “date” before we entered the Toddler Zone, Glen and I decided to splurge on a VIP theater. The price tag is enough to choke all but the most decadent at $22.00 per person, BUT if you use your Scene points (which you can collect each time you go to a movie or buy a snack), it is exactly the same as any other movie. We’ve been collecting for a while, so our big VIP splurge cost us $0. And it was well worth it. Don’t waste your free movies on anything but the VIP theater! These theaters have a restaurant and bar in the waiting area. 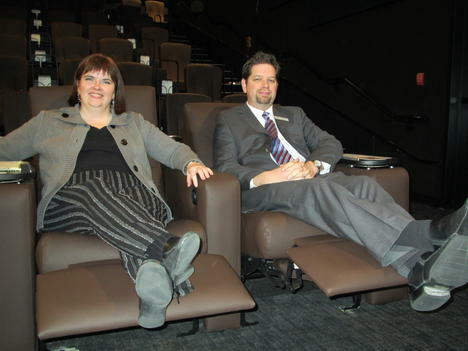 The seating has tables, foot rests and if you sit in the very front row, full on leather recliners. No waiting in line for snacks like regular folks; the wait staff will seat you, take your order and bring you your meal (that’s right, appetizers, entrees, desserts… this is restaurant food). Even the bathrooms are fancy-schmancy, so be sure to stop by. So here’s me, did I mention that I’m a red head? Which is rare and therefore superior. Spread the word. So, despite the incessant rain (let’s hear it for the West Coast, people! ), this has been a wonderful week! Instead of running through the sprinklers and eating popsicles, we are all about splashing in puddles and cozy, family time. And this week our family includes a wiggly, curious, constantly-on-the-move little man who is the happy ending we’ve been chasing for several years. So, who cares that we are on track for the coldest June in history (for real). Bring on the rain! We’re just too happy to care. But what’s this I see out my window… sunshine. Very fitting! After the littles have gone to bed and the bigs are feeling the need for some parental attention, we often pull out the board games. We are definitely “game people”, but some of their favourites feel more like punishment than fun. Have you ever played “Canadopoly” with a 9 year old? It takes HOURS and the only thing worse is Disney Princessopoly, a pink and purple hell from which there is no escape. 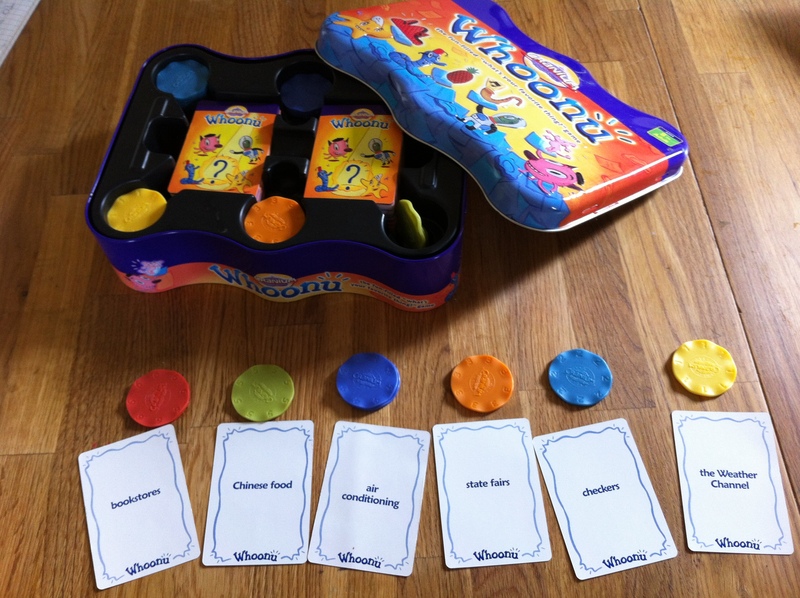 One of the games we DO like to play is Whoonu. Not only is it fun and relatively quick, it is a great way to get to know each other better. Every person has a turn to be “it” and the others choose two of their “subjects” which they think the person will like best. The subjects on the cards are totally random – everything from tic-tac-toe to accents to Chinese food. The “it” person then arranges all the cards in order of preference and you collect your points (6 pts for first place, 5 for second, et cetera). Apparently, C actually likes early mornings (though she is impossible to wake up and spends the first 15 minutes of her day lying on the kitchen floor whining that she doesn’t know what to eat for breakfast). L thinks the Weather Channel is fascinating. Glen rates the sound of breaking waves over air conditioning. Who knew? Turn your iPod, iPhone or iPad into a film studio. I’ve fiddled around with many video editing systems over the years, and this is definitely the easiest to use. As cheap as I am, it’s worth the $4.99 price tag. Not to be left out of the iMovie fun, our family’s film-making mentors (aka Uncle and Aunt) had Glen shoot this beauty on his iPad when he was visiting a few months ago. Welcome to the World Premiere of Super Family – taking cheesy home video to the next level! I know what you’re thinking. Yes, that is in fact the Gemini-nominated director of “Love It or List It”, also known as Glen’s little brother. What’s more, these ARE the stars of Cerealized, a hilarious web serial which may or may not be freakishly psychic since they are now married and living together in real life. We’re working with professionals here! But the real draw is that cute little boy (takes after his aunt). He looks all innocent and utterly adorable, but we are going to conquer the world together one day! While we’re on the topic of high quality entertainment, let me introduce you to a brand new website for those of us who think TV is more than just a massive waste of time and soul-sucking instrument of global ignorance; it’s a lifestyle. TV Asylum brings you validation about People You Watch TV With and important articles such as We Need to Talk about The Office. I’ll admit it, I will never watch The Bachelorette, but I’m loving the Recaps; they are just so funny! I have loved this song for years and rediscovered it when I met Carolyn Arends last week. That’s right, as I mentioned in another post, she is one of my new favourite authors and I now am the proud owner of a signed copy of Wrestling With Angels! We haven’t exchanged friendship bracelets yet, but I’ll keep you posted. This weekend, do whatever it is you have been dreaming about for years: make a movie, write a blog, adopt a child… you pick. So here’s me, seizing THIS day. I think we’ll call this episode “Parenting the Boy.” Happy Father’s Day! Last night I rocked my son to sleep for the first time… insert sappy sniffle… bliss! He mostly smiles my way, plays for a few minutes, then runs to foster mom or Daddy, but when I “babysat” him on my own for an hour last night, we snuggled and played together. We had a great time, just us. The next 2 weeks we will continue the gradual transition home. It’s a lot of driving. And it’s hard to leave him each time. But it’s all worth it. It’s an awkward, wonderful, strange and exciting time! c) doesn’t know WHAT a hipster is (and you really should in this day and age, since I suspect hipsters will one day inherit the earth). Mom, this could be your life. Who knew Dad had so much hipster potential? She scanned my thumbprint into her iPod. Very official. Kind of an “Alias” vibe. Lo and behold, my name pops up, along with the information that I am currently parenting 3 children with another one coming home soon. What the WHAT? How does it KNOW this? An upbringing fraught with suspicion about “evil government” and conspiracies of sinful worldly systems kicks right back into play (embarassingly easily to be honest). My moment of panic is cut short as I realize L is giggling like a hyena. It’s a prank app. And it really works. Grandma was mystified that it knew who she was. Grandpa was spitting mad… cue Big Brother rant… Even Glen fell for it. Fingerprint Security Scanner has given my kids their $0.99 worth of funny practical jokes. You can prompt it to say anything about the person who is “scanned” in. The possibilities are endless. iGame Mom is a wonderful resource for anyone looking for great apps and ideas. We’ve used her How to Child Proof an iPad to help us sort out ALL our apple devices. It only takes a few seconds for grimy little fingers to create total havoc. S loves Daddy’s iPad almost as much as Daddy, so this saved our bacon. In high school I tried to read it in the original language. It seemed sophisticated and intellectual at the time. My french is not that bien, so it was just a collasal waste of time. How do you say “pretentious” en francaise? It is one of the BEST stories ever told (Victor Hugo), and the musical version is hauntingly beautiful (Schonberg). Add Hugh Jackman, Ann Hathaway and Russell Crowe to the mix, on a big screen… and now I’m ridiculously excited! Coming soon… a new movie version of Les Miserables. Seeing the musical live, still on my bucket list. So here’s me, je suis tres exhausted, but happy this week. Another week, and another collection of random recommendations. Our adoption is moving forward at a glacial pace. And I am inexplicably (okay, very, very explicably) inspired to write posts about waiting… so stay tuned. Sadly, our extended family has more than a few addicts in its ranks. It’s a tragic lifestyle/illness and I’m left feeling angry, bewildered and completely helpless in the face of it. Sober Boots takes on this giant with faith, humour and the kind of wisdom that comes from “been there, done that”. Apart from the focus on alcoholism, I feel like Heather Kopp is someone I want to know and spend an afternoon gabbing with over coffee (for an introvert that is really saying something). This is an incredibly accurate portrayal of my home country. I grew up in “Bibles”, spent five years in “Centre of the Whole Freaking Universe” and ultimately moved out to “Rain, Rain, RAIN” right near “Snobs”. 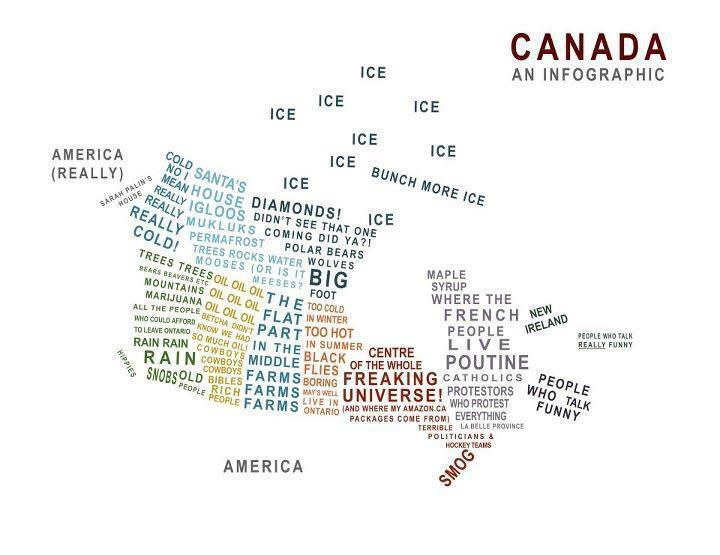 Along these same lines: “Everything you wanted to know about Canada, but were afraid to ask.” Surprisingly educational coming from a comedian. Three years behind the game, but I finally understand what happened when parliament was suspended in 2009. Finally, they’ve found something useful to do with all those beanie babies from the 90s! 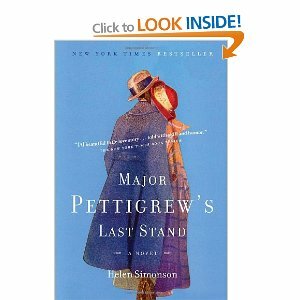 Funny and surprisingly faithful to the book, definitely worth a look for anyone who has seen the movie and/or read the book. In honour of this very special holiday (Star Wars Day, duh) here is an app that both I and my 3-year-old nephew really enjoy. 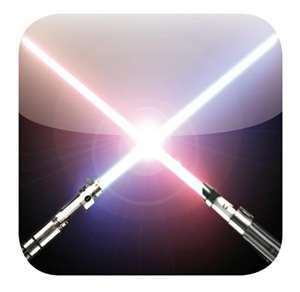 Feel the force on your iPhone as you use realistic sound effects to draw and swing your LightSaber and, well, that’s pretty much all it does. But it’s a LightSaber, so how cool is that! LightSaber Unleashed is a slight upgrade from the program I have, still free, and will totally make you the cool auntie. So here’s me, wishing you a Happy Star Wars Day. May the Fourth be with you!